The works of Noémie Goudal feature in Constructs / Constructions, show premiering on Wednesday, April 22nd 2015 at the Kiran Nadar Museum of Art, Saket, New Delhi. Constructs / Constructions is a group exhibition that brings together 30 artists across-generations, addressing the process that moves a creative work from the realm of a mental construct into the realm of a constructed image or reality, to communicate through its form and content. The show, curated by Roobina Karode is focused on the close relationship between the act of making and the manifestation of thought and ideas. The artists try to bring forth a deeper interrogation of the urban condition, of built structures around us and psychological constructs in the everyday. 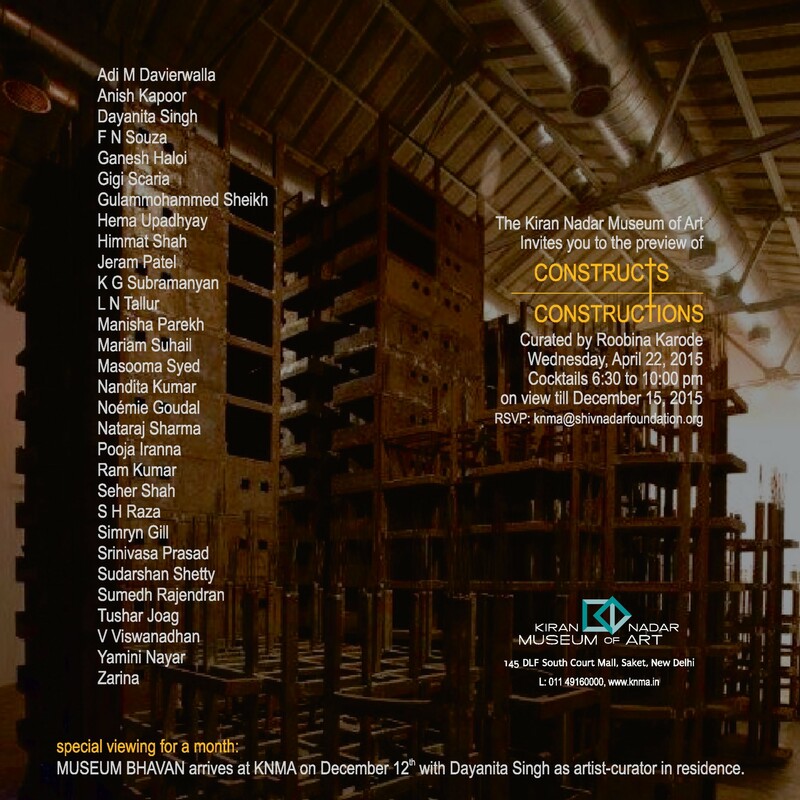 Participating artists also include Adi Davierwalla, Anish Kapoor, Dayanita Singh, F N Souza, Ganesh Haloi, Gigi Scaria, Gulammohammed Sheikh, Hema Upadhyay, Himmat Shah, Jeram Patel and K G Subramanyan, amongst others.